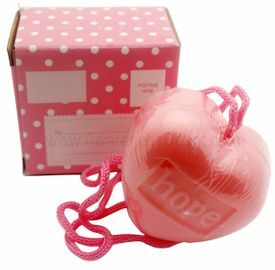 This pink "Hope" soap on a rope is in the shape of a heart and has the word "hope" written on the front. Makes great give away gifts. Comes in a gift box.